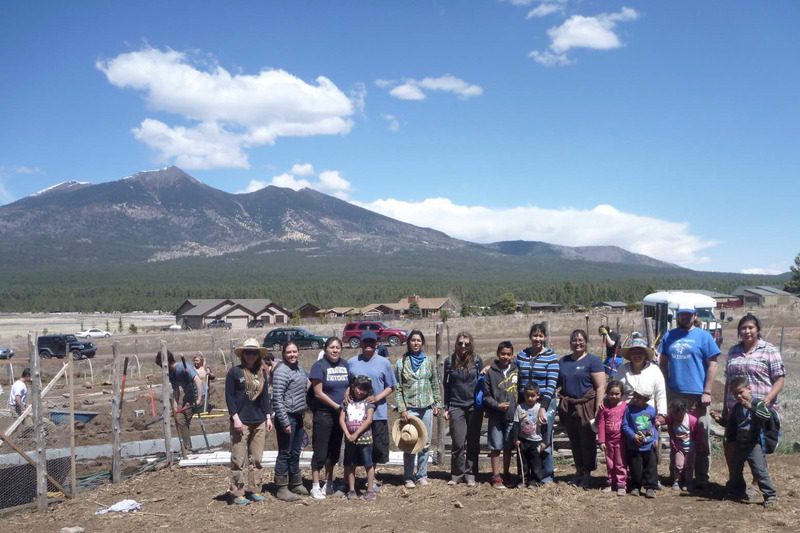 The Flagstaff EcoRanch (a registered 501c3 nonprofit, sustainability education center) needs $20,000 to continue educating Flagstaff students about growing local produce and the benefits of a local food system while continuing to donate produce to economically challenged individuals and families. We are unique because we model sustainable living and agricultural techniques in order to educate students and donate food to our community. 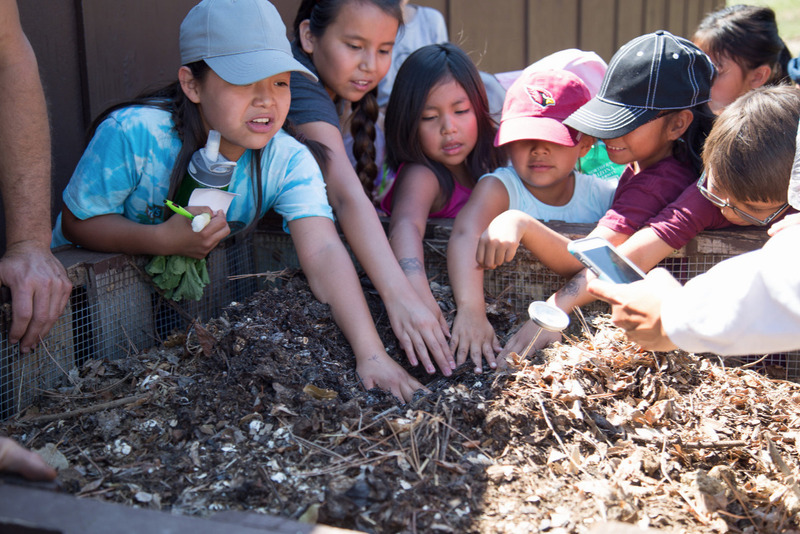 In six years, over 11,000 volunteer hours have been donated to the EcoRanch allowing us to donate 3,000 pounds of produce (out of the 10,000 grown) to programs like Women Infants and Children (WIC), local shelters, and other nonprofits that support under-served and economically challenged families in Flagstaff. The other 7,000 pounds of produce grown has been given to volunteers in exchange for labor or sold to local restaurants and businesses to continue to purchase growing supplies. We have given 456 hours of in-classroom presentations (K-College), workshops, and onsite tours, hosted 40 WWOOFers (travelers doing work exchanges), 66 college students earning credit through internships and capstone projects, and taught hundreds of K-12 students about biodiversity, environmental sciences, food security, and community building. 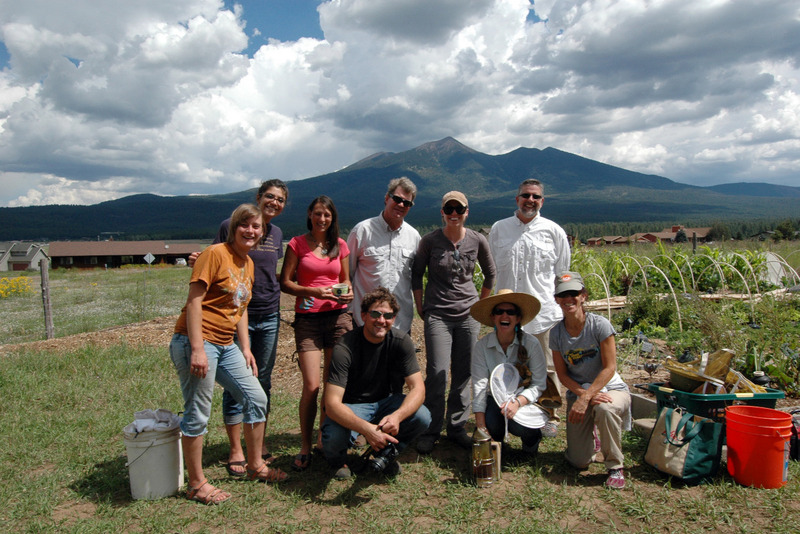 Our efforts and programs have made such an impression on our community that this year we received a Community Model Sustainability Award from Coconino County and our farm appears in the Coconino County Comprehensive Plan for our sustainability efforts. The first $10,000 will go towards the salary of our first paid employee, a farm manager. Their primary responsibility will be managing a 30 share, student-run, Community Supported Agriculture (CSA) program that will donate produce to WIC. The money from this CSA will fund this position for the following year, making us more economically sustainable. The next $5,000 will go towards agricultural infrastructure and supplies like; tools, materials for raised beds, row covers, containers for starts, tables, crates for produce distribution, and building a rainwater catchment irrigation pond to name a few. The final $5,000 will go towards five $1,000 stipends for low income and minority high school student interns giving them work experience, financial opportunities, and scientific and entrepreneurial knowledge. If you have read this far, thank you for taking the time and for considering making a donation. My name is Jeff Meilander and I am the founder, director, grower, maintenance person, and essentially every other position that exists at the Flagstaff EcoRanch. I could not have made the EcoRanch what it is today without our amazing volunteers and interns who have dedicated their time, energy, and sweat to helping this organization grow. I have been a professional educator since 2004 and have taught K-College biology, environmental science, anatomy, community organizing, and much more. I started the EcoRanch because I was unhappy with the way our current education system isolates disciplines and students. I strongly feel that people should learn collectively, through interdisciplinary studies and hands on activities that are meaningful to the individual. I didn't feel like I was seeing that in my previous science teaching experiences and my efforts to do so were not always supported. In 2011, I left Flagstaff to work on farms in South America, and it was on this trip that the foundational guidelines of the Flagstaff EcoRanch began to develop. I returned and worked six concurrent part time jobs to raise money to get the EcoRanch up and running. I currently work full time at Northern Arizona University as an instructor and that salary supplements the operations of the EcoRanch. I do not pay myself for the work I do with the EcoRanch, all money that comes in goes right back into the organization. By supporting this GoFundMe, I will be able to hire a farm manager to grow food, teach, and manage our interns and volunteers, which will free me up to write grants and start developing more educational collaborations with teachers, schools, and nonprofits in Flagstaff. I graciously thank you for anything you can contribute to our program. Again, thank you for taking the time to read this and considering making a donation. We're off to a great start. Thanks to everyone who has helped us so far. Please share this GoFundMe and help kids learn more about local food and get produce to those in need.